I have a motorcycle that I made the mistake of letting it sit for a while and never started it. Now it won’t start at all and it’s the beginning of riding season, why won’t it start? Unfortunately letting a motorcycle sit un-winterized is one of the worst things that you can do to a bike. Bad gas & Carburetor malfunction – This happens because gas deteriorates over time and turns into a sludge like varnish that clogs all of the tiny jets and ports in carb(s) and fuel injection systems. The only way to fix the problem after the damage has occurred is to disassemble and drain the old gas from the fuel system and clean/rebuild your carburetor(s). This is a time consuming and expensive job that could potentially cost anywhere from $100-$600+ depending on how many carbs you have and how difficult it is to remove and disassemble the carburetors from the motorcycle. One way to prevent this problem all together is to run a fuel treatment such as “Sta-bil” through the fuel system before letting it sit for extended periods of time. This prevention may run you $5-$10. Battery Malfunction – Motorcycle batteries are very prone to malfunction when a bike is left to sit. 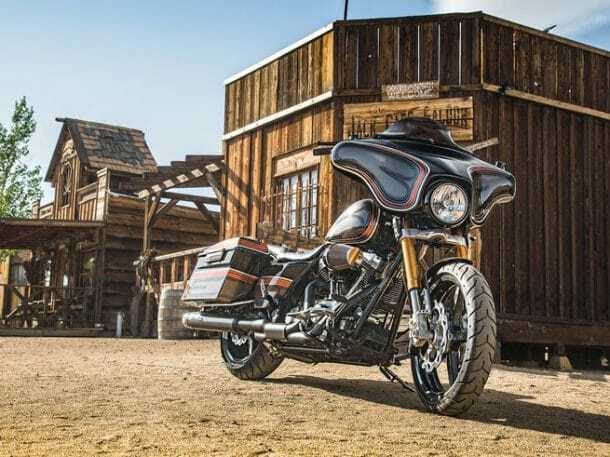 Unlike their automotive counterparts, motorcycle batteries are smaller and less durable because of the limited amount of space for a battery in a motorcycle. This combined with the fact that bikes are typically ran less frequently that autos, the batteries are not charged as frequently and cause the battery to lose its ability to perform well. There aren’t many options when the battery will not turn your motorcycle over. You can try to charge the battery back to the specific voltage, but if that does not cause the battery to perform any better then you will need to replace the battery all together. Most motorcycle batteries cost anywhere from $50-$150 depending on the model of bike and the battery chosen. To prevent your battery from keeling over, I would suggest purchasing a “Battery Tender” (A small battery charger that automatically keeps your battery charged over long periods of time) Most of these tenders will run you from $35-$400 depending on how fancy you want to get. The $35-$100 options work plenty well for the everyday person so I would recommend those for most riders. Piston Rings compressing or corroding – This is one of the worst things that are caused by a motorcycle being left un-winterized. When a bike sits for long periods of time, moisture tends to build up in the entire engine. This causes corrosion of all the internal parts from piston rings, to steel valves, cam chains, gears, crankshafts, bushings, bearings, and you name it and it would probably be affected by moisture build up and corrosion. Specifically when piston rings sit un-oiled in the cylinder for a long time they begin to compress inward and this causes a gap between the cylinders and the piston rings, and there needs to be an air tight seal between the cylinder and the rings to operate efficiently. This problem causes you to have low compression and either run very poorly (Lack of power or throttle response) or not run at all. The only way to fix these issues is to tear the entire engine down and replace any components that may be corroded and un-usable. This is VERY labor consuming and could run you anywhere from $500-$4000 depending on how far you want to get into the engine and what you need to replace. And unfortunately, most shops won’t know what is wrong until they have possibly spent 8-20+ labor hours disassembling your engine to find all the damaged parts. The best way to prevent moisture build up in to start your bike once every two weeks and let it get up to operating temperature, this helps to drive out unwanted moisture. If you cannot start your bike every two weeks, then pour a tablespoon of fresh oil down into your spark plug holes before letting the motorcycle sit. This will at least lubricate the cylinders and help prevent piston ring compression and corrosion. 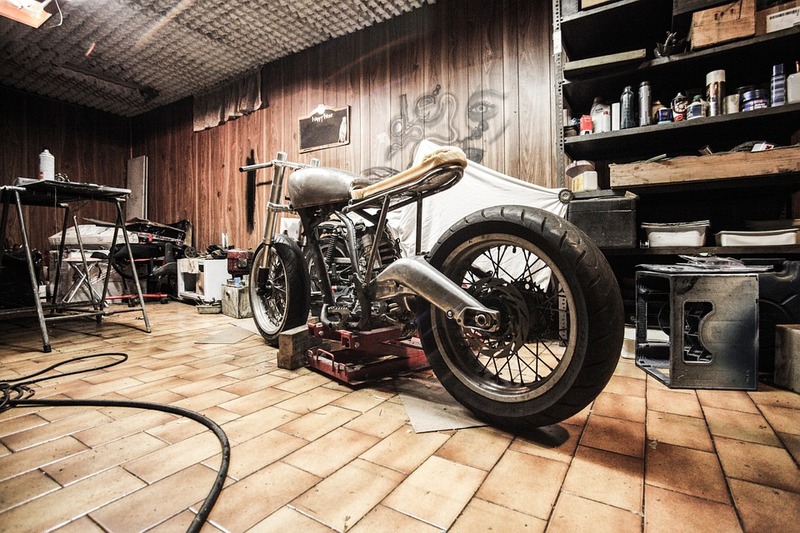 Electrical Damage due to Unwanted Pests – This last problem may seem like a non-issue because most people deny the fact that there may be rodents in their garage, but it is in fact actually a very common occurrence in the motorcycle world. Why? You may ask. Well rodents don’t like to stay outside during the winter months, they would rather be inside…your house…and your garage…and more specifically…your motorcycle. THERE COULD BE MICE IN MY MOTORCYCLE? Yes, mice love small warm places to build their nests. So small spaces in a motorcycle are perfect; in exhaust pipes and under the seat are the two most common places to find pests. Mice also love to eat wires for some reason unknown to me, and the wiring harness under your seat is perfect for a mouse to eat while they are nesting. Having a mouse could cause numerous malfunctions and could even potentially lead to an electrical fire in an extreme circumstance. Preventing rodents is a tough job, nothing more than traps and some mouse repellent would really help keep them out of your motorcycle. What should I do to get my bike running again? – I would advise that if you have let your bike sit for any longer than a few months, then you should get it fully serviced. You should change the oil, drain/clean the fuel system and carburetors, replace the battery, check the wiring, do a full motorcycle inspection and replace anything else as needed (tires, brakes, hoses, etc.). If the bike does not run even after all of that, I would then go to the tear-down and rebuilding of the engine if the bike is worth putting the money into. These are all things to consider when you let your bike sit up, because it will cost you a LOT less money to do those preventative measures than to get your motorcycle worked on AFTER the damage has been done. If you have any questions or other things that you feel should be included, feel free to leave a comment! Thanks for the tips for getting our motorcycle running again. I’ve noticed that it’s been really spotty with its starting recently, especially with the cold, so I’m a little worried about it.The battery won’t turn over, so I feel like that’s the problem, like you mentioned. Thanks again for this advice!